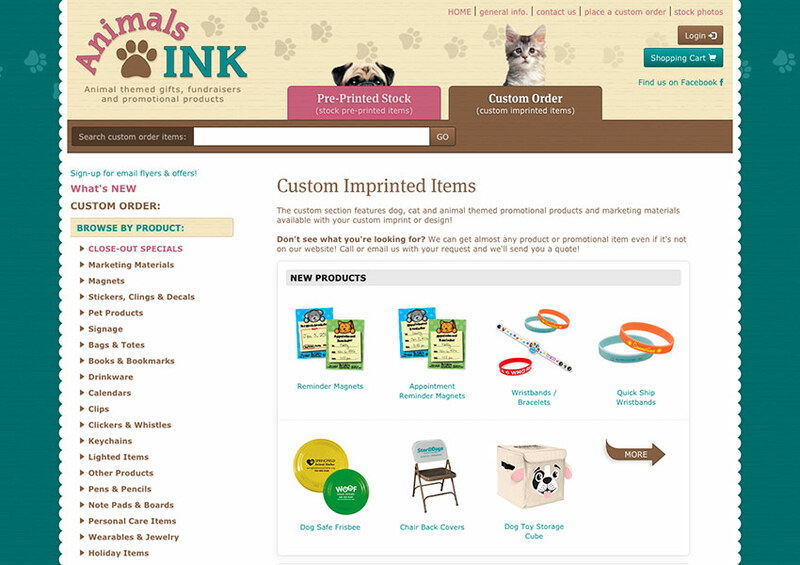 AnimalsINK.com is a distributor offering a wide variety of pre-printed and custom imprinted animal themed gifts, fundraisers, promotional products, car magnets, and marketing materials, catering to pet groomers, animal rescues and shelters, veterinarians, animal clinics, dog walkers, pet sitters, and more. Our work on this site was with the coding and development. Work Description: Custom Joomla e-Commerce System, Order Management System and Custom Account Admin System, Custom Joomla Template, Components, Modules and Plugins.